The Fig Boutique Suites is a three suite, boutique hideaway in the heart of the beautiful Silver Coast of Portugal. The perfect base from which to explore the culture, gastronomy and natural beauty of this unspoiled area. You can enjoy the independence and privacy of your own self-contained apartment with many of the amenities of a boutique hotel. Here you can spend the day swimming or surfing at one of the spectacular beaches, golf at some of the country's best courses, visit one of the many impressive Unesco World Heritage sites in the area, participate in one of the sporting activities available…or you can just relax and enjoy the tranquility of the property on your terrace or around the stunning salt water pool. Spa services can be arranged for you. What a great introduction to Portugal! 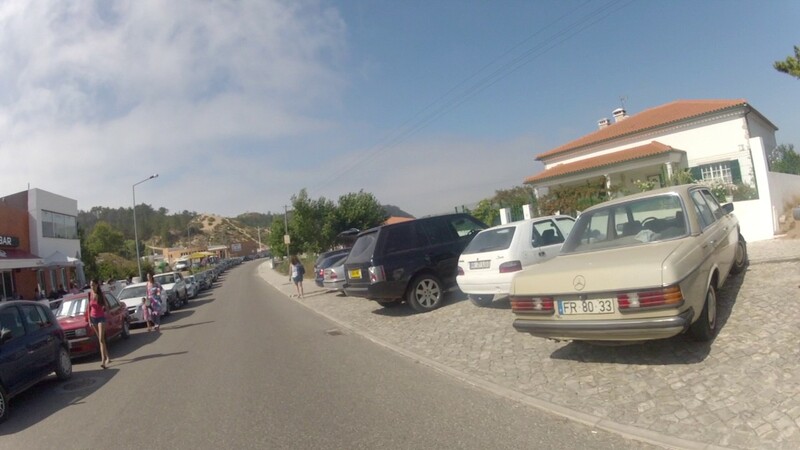 An hour up the coast north of Lisbon, and the place couldn't be more charming or the hosts more helpful. Comfy king size beds, new appliances, wifi, even a fridge stocked with everything we needed on arrival. The gorgeous swimming pool is a perfect place to chill with some of the great wine we picked up! Our favourite outings were to the surf mecca of Nazare, the farmers market in Caldas da Rainha, the medeival town of Obidos, and the amazing beaches at Foz do Arelho - all within a 20 minute drive. There was so much to do, we never did make it up to Porto. That's for our next visit! We had an excellent time here! The house is perfectly equipped and furnished and we enjoyed cooking on the BBQ in The Liro. The swimming pool is the cherry on the cake! Finally, the beds are probably the most comfortable things we have ever seen. We will certainly recommend this place to our friends. I stayed in the studio suite and it was perfect; quiet, modern and clean. The king size bed was super comfy, the kitchen had everything you could need, and the views are breathtaking. The pool is spectacular! You'll want to swim or lounge for hours taking in the beautiful surroundings. It's close to several villages worth exploring and within walking distance to the sea. The hosts, Lisa and Rob are lovely and very helpful. They suggested some restaurants in walking distance that were excellent. I'll definitely be back! Stayed in the one of the beautifully appointed two bedroom suites with the most amazing beds and rain head shower - no detail has been overlooked. Breathtaking views - perfect for a day of relaxation at the stunning pool and tons to do for day trips in the immediate area. Can't wait to return! We absolutely loved staying at The Fig! We were welcomed with drinks, cheese and olives and our hosts were super friendly, providing lots of helpful recommendations for restaurants and sights in the area. The apartments and pool area are as beautiful as in the pictures. Unfortunately, we had a few cold, foggy days so we couldn't make full use of the pool area but we loved cuddling up in a blanket in the comfy chairs to enjoy the sunset. For anyone who wants to stay at a lovely place with amazing beaches and coasts in the reach of 10-30 minutes, I would absolutely recommend the place.